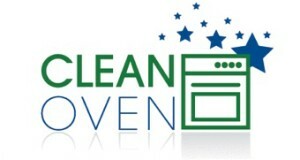 CLEANOVEN are the people you want to clean your cooking appliance. With a wealth of experience both in hands on and customer satisfaction, we are the people who care and get it done, when you need it! All of Dublin, parts of Kildare, Meath and Wicklow, check our map for details. We are constantly expanding and going further so please call us and we can advise on your area. Why should I use Cleanoven for my cooking appliance? With Cleanoven you will get the best value oven cleaning service available. You and your home will be treated with the utmost respect and the end results will be superb. What can Cleanoven do that I can’t do myself? Simply put, Cleanoven will provide the ultimate oven cleaning experience for you leaving you free to enjoy your leisure time doing what you would rather do. What oven cleaning products do Cleanoven use? All Cleanoven technicians only use Cleanoven branded products. These products are totally caustic-free and eco-friendly and have been developed over the years to produce outstanding results. Can Cleanoven clean ’self-cleaning’ ovens? Yes indeed as Cleanoven products are designed to cope with all oven types. Many ovens have self-clean interiors and/or catalytic liners. These coatings are designed to burn off debris but many of these ovens do not reach a high enough temperature to produce the required result. Many liners therefore ‘hide’ the grease and fat behind them that can be a cause of fire. Your Cleanoven technician will clean behind these items for you and therefore remove the potential fire risk especially around the main heating element. Are all Cleanoven technicians fully insured? Yes. All Cleanoven technicians carry full insurance cover. This cover extends beyond 3rd party and public liability. The items that we are cleaning are also covered for your total peace of mind. What other items can Cleanoven clean? We also clean gas and electric hobs, extractor hoods, microwave ovens and BBQs. We also offer a vast selection of traditional stove services like of Waterford Stanley, Aga , Rayburn and ‘Range style’ ovens and cookers. Do your operators carry spares? Yes. All our Cleanoven technicians carry replacement lamps and a good selection of extractor hood filters. If we don’t have what you need on the van, simply ask your technician he shall get the office to source what you need. Are Cleanoven recommended by manufacturers? Yes. Cleanoven are recommended directly by Lacanche, referred by Britannia and highly recommended to clean and valet the Outback range of quality barbeques. Falcon products also recommend the service to clients prior to fitting their range of high quality oven liners. Who else recommends the Cleanoven service? Cleanoven are also recommended by numerous domestic cleaning companies, colleges, schools, nursing homes, property management companies, service engineers, estate agents etc. How often will my oven need professional cleaning? This really does depend on how often the oven is used and what is cooked in it. An oven that is regularly used to cook fatty meats will need more regular visits than an oven that is perhaps used once a week to warm through ‘ready meals’. Many clients use the Cleanoven service twice a year but this is by no means ’standard’. We will be there when you need us again and we will write, call, text or email (you choose) once or twice a year to remind you of the date of our last visit. Your Cleanoven technician will give you quality advice about repeat visits when at your home. Call us at 01-4588885, or send an e-mail info@cleanoven.ie. The office is open 9-6 every day and from 10-2 on Saturdays. Your valued enquiry will therefore be attended to as quickly as possible.